This is a Plantronics Savi 8220 +EHS for Avaya J100 1400 1600 9400 9500 9600 series IP phones. Avaya certified. wireless headset package with remote answering capabilities. 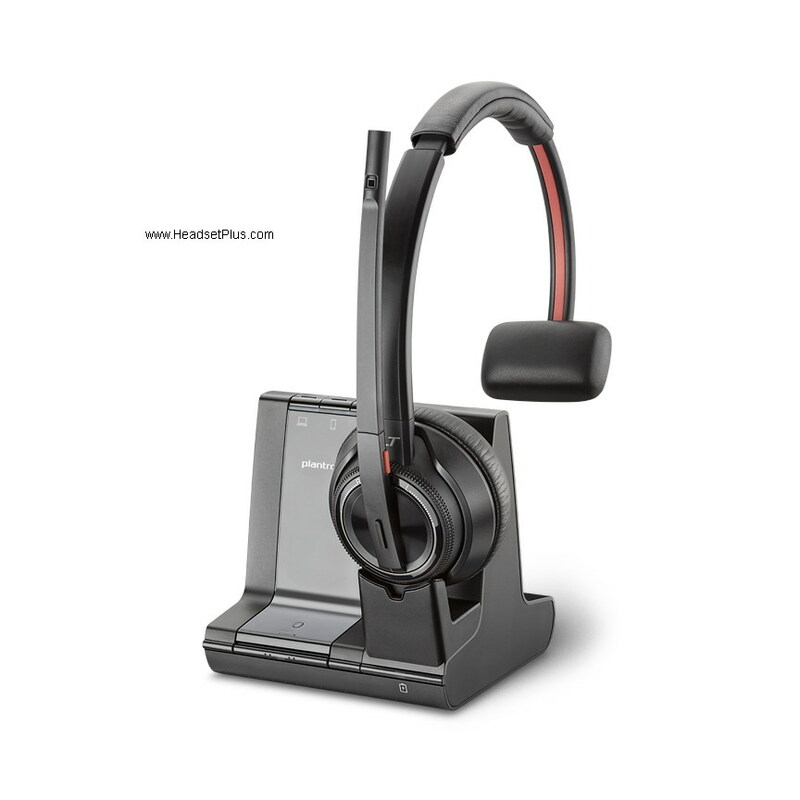 The included remote answer EHS cable provides the ability to remote answering and ring detection for the Plantronics Savi 8220 wireless headset for you up to 590ft away! The Plantronics Savi 8220 has active noise canceling in the ear cups, so it can elimate most of the background office noise so you can focus on the phone call. In additon, it has noise blocking on the microphone, so the caller does not hear all the noise in your office. 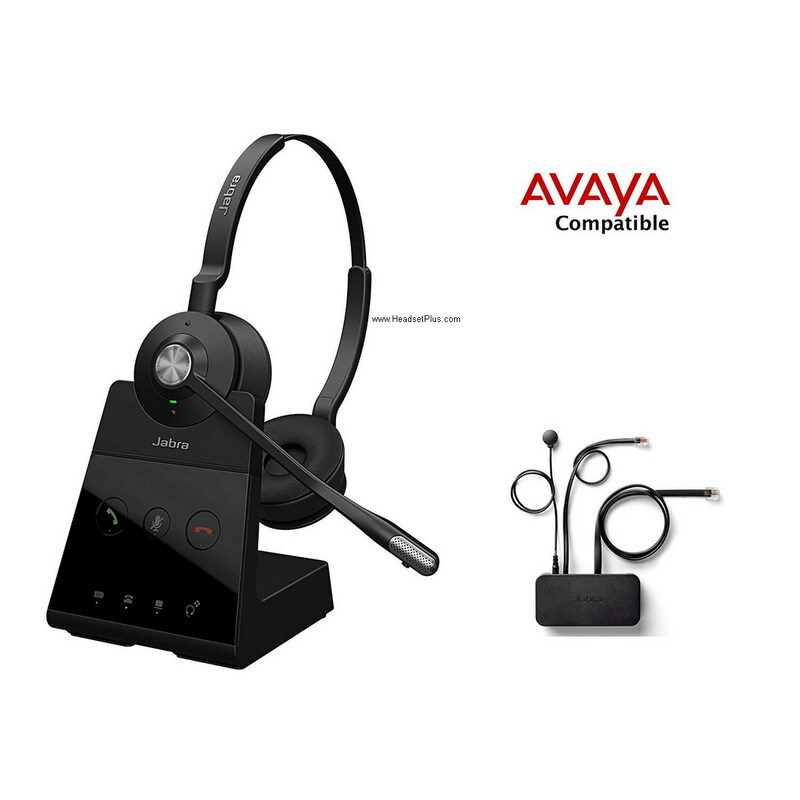 In additon, the Savi 8220 allows connection to a PC or Bluetooth cell phone, so you can use the same headset for all 3 devices and switch between them with touch of a button. 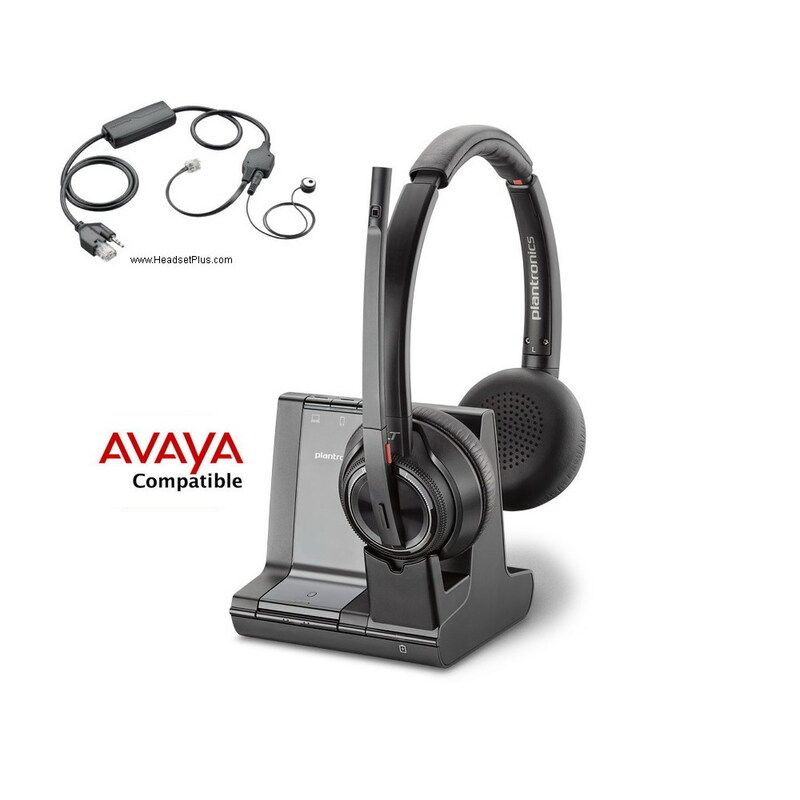 Plantronics Avaya EHS remote answering cable included in this bundle package. 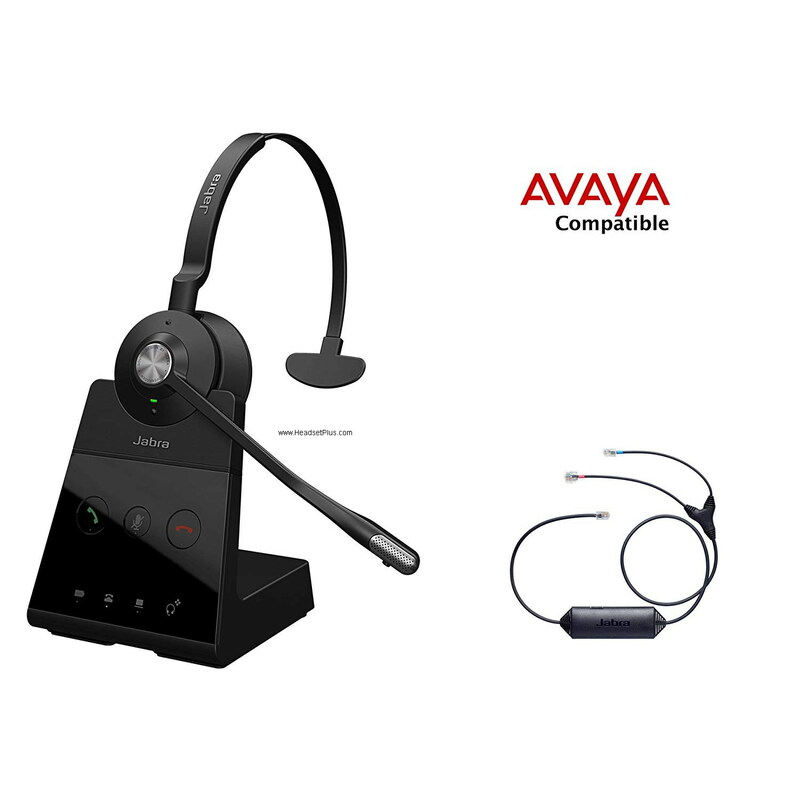 Connect to Avaya deskphone, computer using USB cable, and cell phone using Bluetooth from the base. Listen to stereo music from your computer or smart phone. 13 hours talk time and 50+ hours of standby battery time when fully charged.